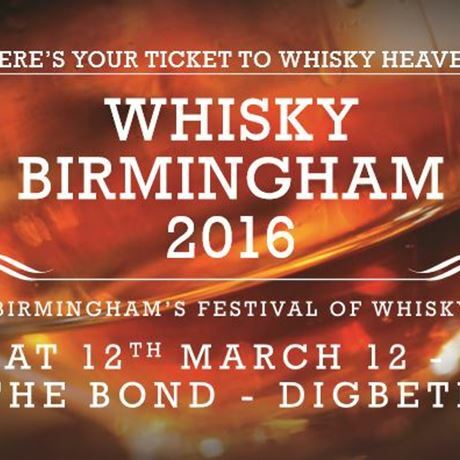 Back for a fourth year in a row, the ever popular whisky festival from The Birmingham Whisky Club storms into town. Expect hundreds of whiskies 'on-taste', brands from around the world and some of the most creative masterclasses you'll find at a festival – all under one roof at The Bond, Digbeth. - General Admission - £35 (plus booking) - includes all whisky, a festival glass and a 'dream dram' token. - VIP Admission - £70 (plus booking) - includes the above, plus: entry an hour earlier to the exhibition halls, a brand masterclass and an extra 'dream dram' token. PLEASE NOTE: as standard these are sent out as e-invites, but they can be sent out as vouchers for Christmas gifts at a small extra cost - these will be sent out in December. Please choose carefully as they cannot be transferred. Please also remember to include your address when booking. - Masterclasses and food are extra. - Masterclass tickets will go on sale in early 2016. - This event is suitable for beginners and seasoned whisky-drinkers alike. - Please keep an eye on the website for details of the brands attending. £35 Standard, £70 VIP (not including fees).